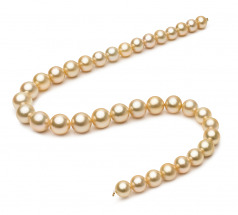 Sunkissed and evenly toned, this Premium Golden South Sea Pearl Necklace is a one of a kind featured necklace. 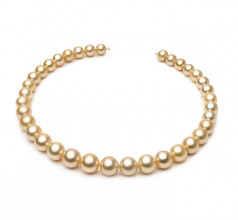 The fresh and revolving golden color blends evenly throughout the 18” Princess length slice of perfection. 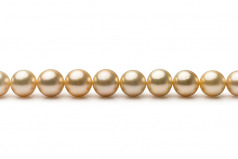 An even distribution of the 10.0-13.3mm Golden South Sea Pearls, begins at the front allowing for the larger and more alluring to be the center of attention while continuing to work towards the end of the length. 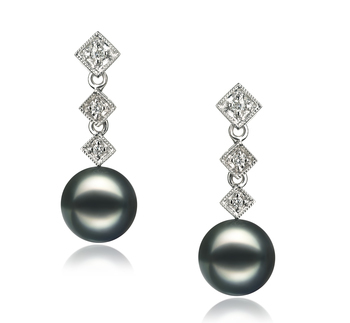 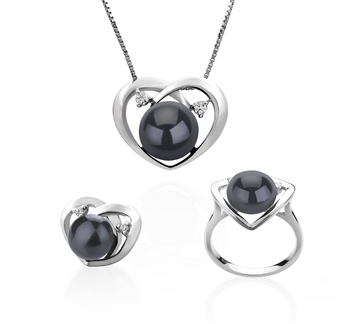 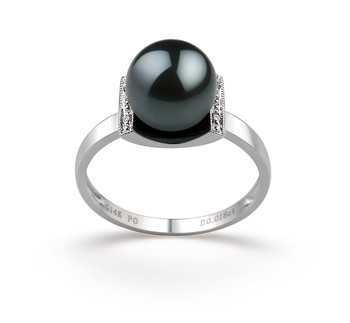 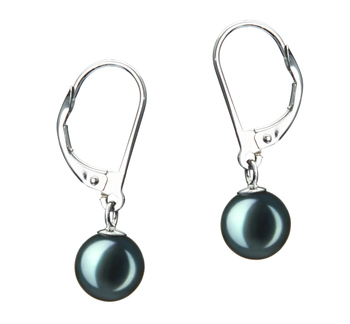 The high-quality pearls sparkle with a radiant glow that is a direct result of the thickness of their nacre. 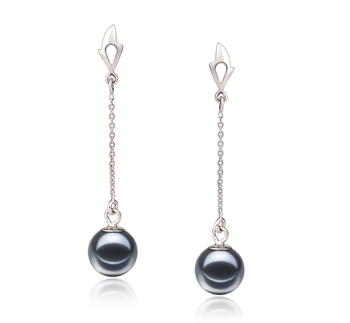 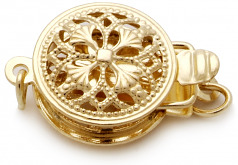 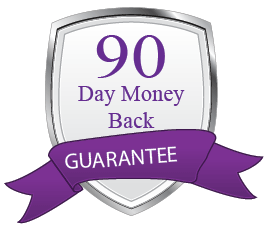 You will receive the exact string of pearls show in the photos above (with your choice of clasp). 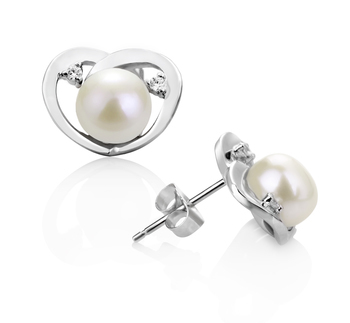 Due to being allowed to grow in the warm water for an extended period, the pearl has advantages of other types both in size as well their overall beauty. 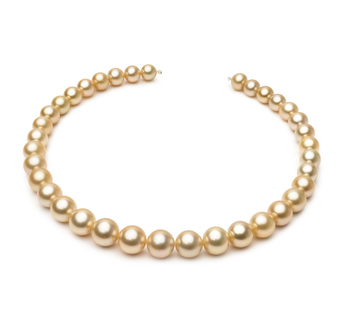 Experience the value and golden rewards of the Premium Golden South Sea Pearl Necklace when you combine your necklace with any formal line or fine dining evening wear.